Bess, George, and I are actually in Alaska! Everywhere you look, there are massive mountains and sparkling deep-blue waters. 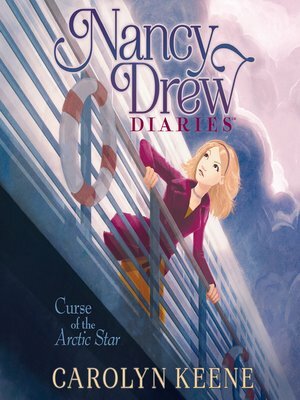 We're on the maiden voyage of the Arctic Star luxury cruise ship, and my old friend Becca Wright, the assistant cruise director, needs our help. She received threatening e-mails before even setting sail; then, a bloody body turned up in the swimming pool. And when a chandelier came crashing down in the dining room, we thought the Arctic Star may be cursed! There are so many passengers on board, I don't know where to begin. But I better hurry; if I don't act fast, this might be everyone's final — and fatal — voyage!